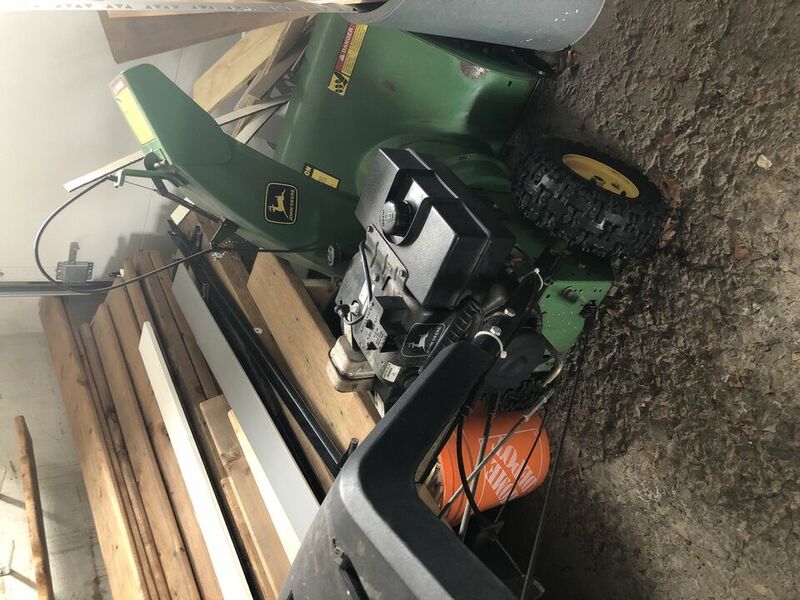 Snowblower Forum : Snow Blower Forums > Snowblower Brand Forums > John Deere Snowblowers > Can you identify this JD blower?? Can you identify this JD blower?? I found this trolling the local for sale ads. Im guessing its a TRS-26 but not sure and if so what year roughly were these produced? I can pick it up for $120 Canadian. Not sure if I would like to keep this and sell my Ariens 724E. Most of the TRS made by Murray had a rectangular chute exit which restricts the thrown snow causing clogging. Though I like the rest of the machine, I'd go with the Ariens. I took my Murray and cut welded enlarging it making it a half moon shape. I previously posted pictures. Last edited by JLawrence08648; Yesterday at 09:06 AM. I wouldn't.. I'd keep the Ariens. the Ariens will be easier to maneuver and use. The John Deere TRS machines were made by Murray in the 1990's. They are Not considered good machines..
OR . . . . that price isn't that bad. Depending on if you have the time and want to take the drive go and take a look and make a low offer. That remote chute cable looks either loose or pinched/bent at the deflector. Missing a little paint but no big rust issue. Pick a few issues and hit them with a price you'd be happy with. Sounds like they are a little desperate now. Don't let their attitude prevent you from getting a good deal. Not crazy low but but something reasonable they might accept or counter with the idea of cleaning it up and flipping it. Overall it seems a nice machine that's been garaged. 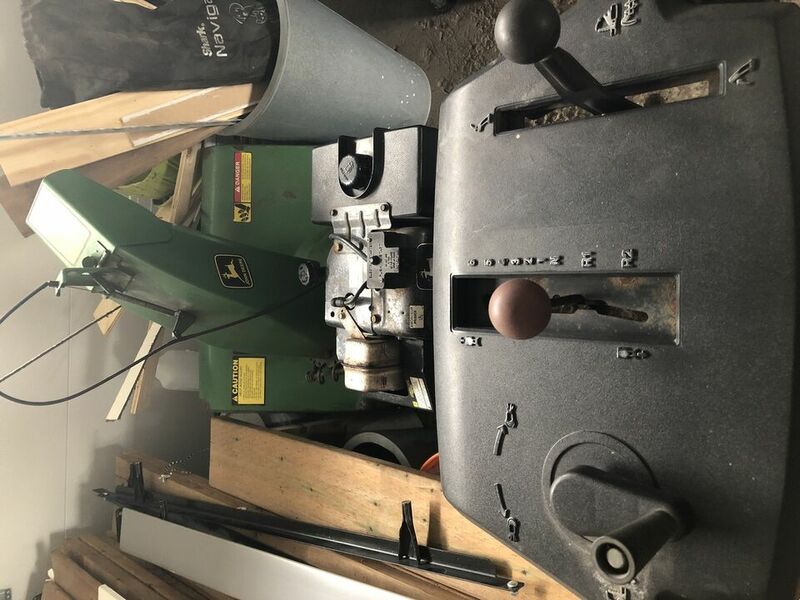 It's not considered a great machine but if you're willing to hang on to it over the summer and list it in fall you should be able to make someone happy with a new to them machine and a little extra cash in your pocket. A summer project you can make money on. I'd keep the Ariens for your personal machine too as mentioned above.